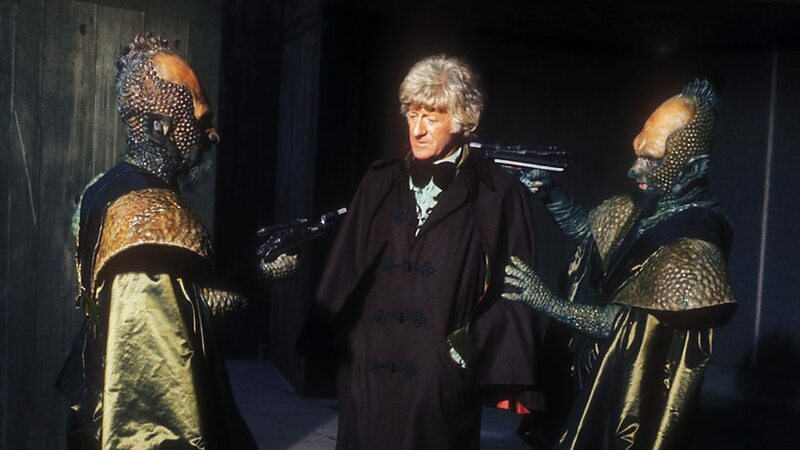 The Doctor (Pertwee) and Jo (Katy Manning) find themselves in the midst of a burgeoning intergalactic war as we dive into this six-part story that was written by Malcolm Hulke that ran from 24 February to 31 March, 1973. 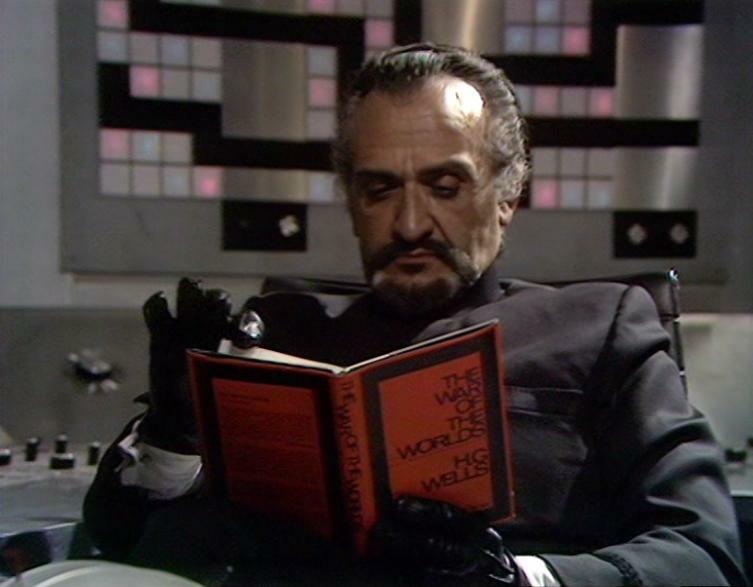 This is also the last story to feature Roger Delgado’s Master before the actor’s death. The TARDIS materializes inside an Earth cargo ship in the year 2540, shortly before it appears as if they are attacked by a Draconian warship. The Draconians have made reports of Earth ships attacking their craft, and tensions are escalating, with the threat of war about to break over the galaxy. On Earth, the Draconian Ambassador, and Prince (Peter Birrel) in conference with the President of Earth (Vera Fusek) and there is much finger-pointing on both sides, as they accuse one another of attacks and violence. When our heroes arrive there, instead of being listened to, they are accused by both sides of being spies for their opposition. Things are further complicated when the Ogrons posing as Draconians make a failed attempt to grab the Doctor and Jo. When The Doctor is sentenced to a Lunar Penal Colony for being a bit of a troublemaker, and Jo’s own fate seems unsure, a Commissioner from the planet Sirius IV arrives, claiming they are citizens of his planet, and that he will see that they are properly tried and punished… It’s The Master! Taking them aboard his craft, and keeping them prisoner, the ship begins its journey (with some pretty bad model work, delightfully so) but they are seized by the Draconians. The Master escapes with the help of the Ogrons, but The Doctor and Jo end up on Draconia, a planet The Doctor has visited before, and finally makes some headway in making people believe him about The Master and the Ogrons setting the governments against each other. With the Draconians at his side, The Doctor and Jo race back to Earth, but The Master is able to kidnap Jo in transit, holding her hostage. But at this point, The Doctor refuses to be stopped, and with his allies by his side, the united front of Earth and Draconia, they race to the Ogron planet to learn who The Master is really working for. A revelation that will lead directly into the next story as The Doctor and Jo escape in their TARDIS, while Earth and Draconia find peace. The Doctor takes on the this threat as he visits The Planet of the Daleks next week!